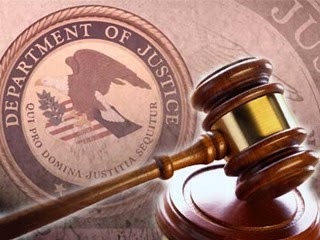 The Department of Justice today filed criminal charges against eleven different suspected members of the so-called “caravan” in the United States District Court for the Southern District of California, announced Attorney General Jeff Sessions and U.S. Attorney for the Southern District of California Adam Braverman. All defendants are alleged to have illegally entered the country in violation of 8 U.S.C § 1325, and one defendant is also alleged to have been previously deported and was charged with 8 U.S.C § 1326 (illegal reentry). According to the complaints, defendants were apprehended by Border Patrol in the following areas known as: Goat Canyon, 35 Draw, Eucci Grove, and W-8. Goat Canyon, 35 Draw, and Eucci Grove are approximately four miles west of the San Ysidro, California Port of Entry, and W-8 is approximately two miles west of San Ysidro. The complaints allege that the defendants knowingly and willingly entered into the United States at a time and place other than as designated by Immigration Officers, and eluded examination and inspection by Immigration Officers. A complaint contains allegations, and a defendant is presumed innocent unless and until proven guilty beyond a reasonable doubt in a court of law.